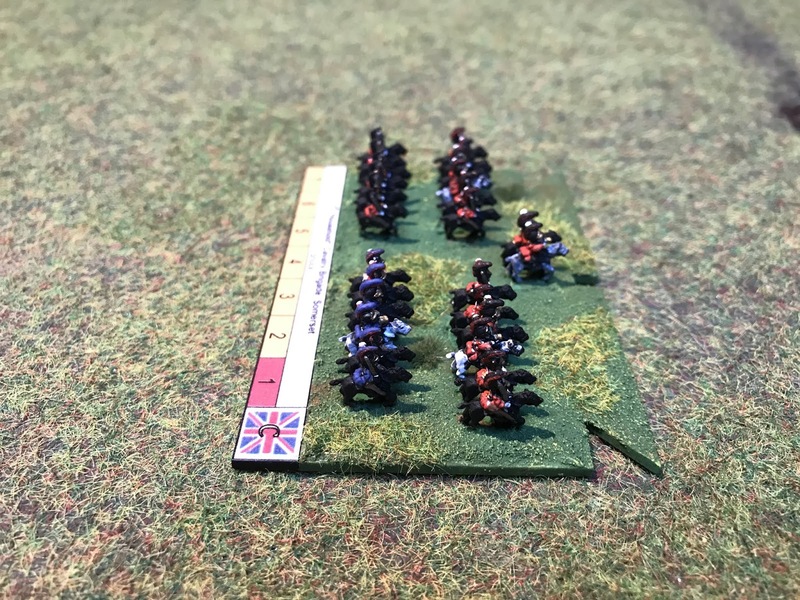 The final cavalry unit for the Anglo-Allied army is the British 1st (Household) Cavalry Brigade. Led by Major-General Lord Edward Somerset and consisted of the 1st Lifeguards, 2nd Lifeguards, Royal Horse Guards (Blues) and the 1st King's Dragoon Guards regiments. 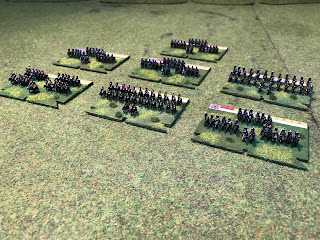 At Waterloo this unit was only at 50% of its normal war strength with most of the regiments only having two of the normal four squadrons present in the 100 Days Campaign. The unit also took heavy casualties, approximately 48%. 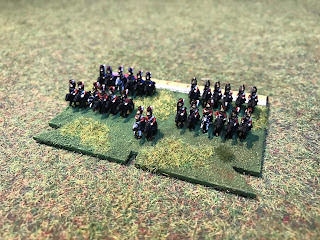 The brigade was initially in reserve at Waterloo in the centre behind the Brussels road. After charging the French cuirassiers and d'Erlon's infantry the cavalry reached the French grand battery where it was mauled by cavalry. 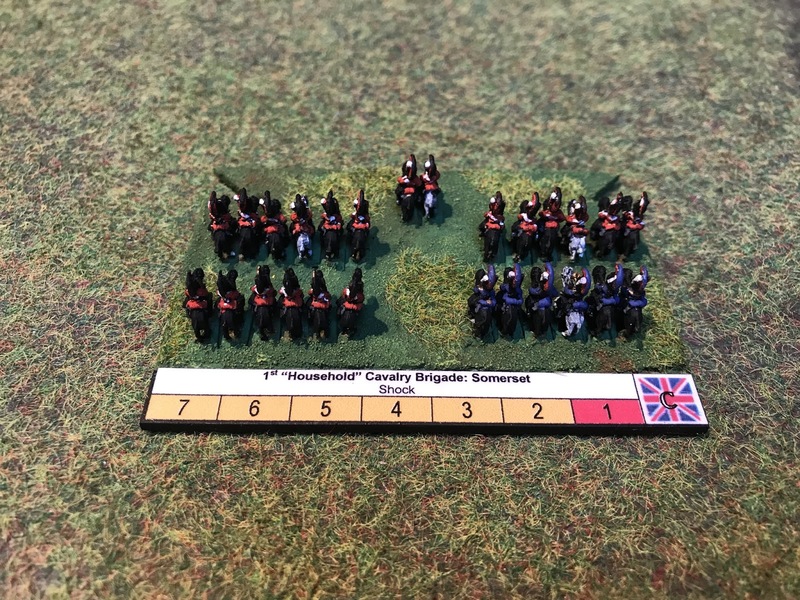 The Household cavalry is the last unit for the Anglo-Allied cavalry corps and completes this seven brigade part of the army. Here they all are together. You can see the first bases that I created, before I had settled on a final look. 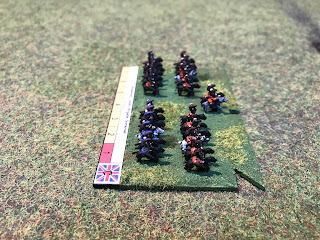 I am kicking myself that I didn't put the Scots Greys in with the 2nd Union Cavalry brigade, it's almost criminal that I left them out! I may revisit that particular unit in the future, but for now I'll just have to make do with not sleeping thinking about it! 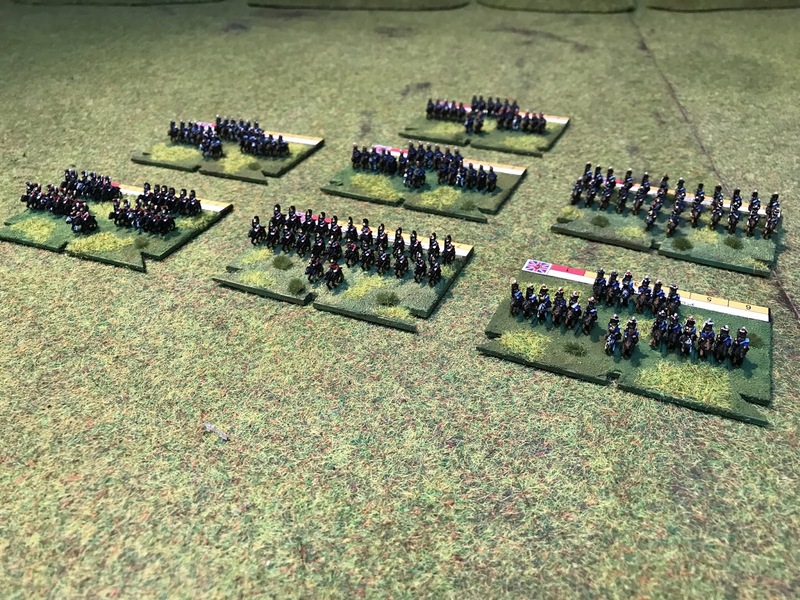 So, that completes the Anglo-Allied army in 6mm. I will do a proper write-up about the army in the next post, so stay tuned!! What a lovely sight all that cavalry is. View halloo and tally ho! Thanks Tamsin, if you liked that, then just you wait for the entire army! They do look quite splendid IMO. Although not enough tracks and automatic weapons for me. you should be proud of what you've created! Thank you! I am also an enthusiast for tracks and automatic weaponry, but I'm glad you liked these!